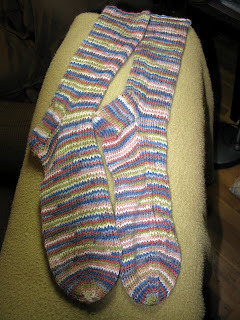 Finished Elizabeth's socks last night. Simple 3/1 rib all the way down the top - this is the first pair I've done with a different top and bottom. Lana Grossa Meilenweit Stile Color 8003 on size 2.75 mm needles.